Centennial, CO, February 19, 2019 --(PR.com)-- HCA Healthcare/HealthONE’s Centennial Medical Plaza (CMP) announced that Catherine Logan, MD, MBA, MSPT, a board-certified orthopaedic surgeon, performs Platelet-Rich Plasma (PRP) injections in both the clinic and OR. Dr. Logan is an orthopaedic surgeon specializing in sports medicine, specifically in arthroscopic shoulder and knee surgery. Platelet-rich plasma is a treatment used for a variety of common orthopedic conditions. The therapy uses injections of a concentration of a patient’s own platelets to enhance the healing of injured tendons, ligaments, muscles and joints. “When following appropriate indications, our orthopaedic research has demonstrated that an individual’s own growth factors and platelets stimulate damaged ligaments and facilitate tissue repair, enhancing the healing process,” says Dr. Logan. The injection is prepared by taking the patient’s own blood and running it through a centrifuge to concentrate the platelets, which are then injected directly into the injured body tissue or joint. This releases growth factors that stimulate and increase the number of reparative cells. 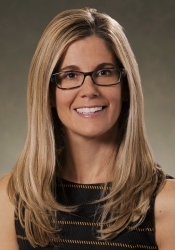 Dr. Logan studied health and exercise science at Syracuse University before getting her Master of Science degree in physical therapy from Medical College of Virginia. She began her career at Johns Hopkins Hospital and practiced for seven years before entering medical school at Tufts University School of Medicine in Boston. Following her graduation with a combined MD/MBA, Dr. Logan completed her residency training at the Harvard Combined Orthopaedic Residency Program. Following her surgical residency, she entered the prestigious Steadman Philippon Research Institute’s Sports Medicine Fellowship at The Steadman Clinic in Vail, Colorado. Her research has been published in the top peer-reviewed orthopaedic surgery journals. As a member of the U.S. Ski & Snowboard physician team, Dr. Logan travels internationally and nationally to care for these elite athletes. Dr. Logan’s clinical interests focus on the care of the adolescent and college athlete, with special interest in mountain and adventure sports. Her background in physical therapy also enables her to provide expertise in returning athletes successfully to their desired sports and activities. The Medical Center of Aurora, the first community hospital in the Denver Metro area to receive two-time Magnet designation for nursing excellence by the American Nurses Credentialing Center (ANCC), is a 346-bed acute care hospital located in Aurora, Colorado. The Medical Center of Aurora is comprised of five campuses in Aurora and Centennial, Colo., including the Main Campus, located at Interstate 225 and Mississippi, the North Campus Behavioral Health and Wellness Center, Centennial Medical Plaza, Saddle Rock ER, Spalding Rehabilitation Hospital, Spalding Rehabilitation at P/SL, and a medical office building at Green Valley Ranch. The Main Campus facility is a Level II Trauma Center with Primary Stroke Certification and Chest Pain Center accreditation, and has an affiliation with Rocky Mountain Hospital for Children as well as the Sarah Cannon Cancer Institute. The Medical Center of Aurora received "A" grades from The Leapfrog Group (Fall 2015, Fall 2016, Spring 2017, Fall 2017, Spring 2018, Fall 2018), was Colorado’s only hospital to receive the Leapfrog Top General Hospital designation two years in a row (2016, 2017), and was recognized as a Best Regional Hospital by U.S. News & World Report (2014-2015, 2017-2018, 2018-2019). The Medical Center of Aurora and its affiliated campuses are proud to be part of the HealthONE System. Learn more at AuroraMed.com.